The medicine chest of common drugs also included Flonase, Aleve and Tylenol. Paxil, Valium and Zoloft. Tagamet, OxyContin and Darvon. Nicotine and caffeine. Fungicides, antiseptics and anticoagulants. And Cipro and other antibiotics galore. 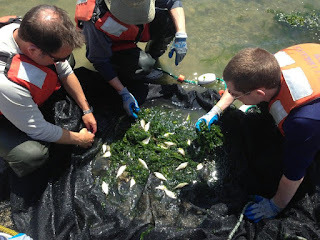 The samples were gathered over two days in September 2014 from Sinclair Inlet off Bremerton and near the mouth of Blair Waterway in Tacoma’s Commencement Bay. The chemicals turned up in both the water and the tissues of migratory juvenile chinook salmon and resident staghorn sculpin. If anything, the study probably underreports the amount of drugs in the water closer to outfall pipes, or in deeper water, researchers found. 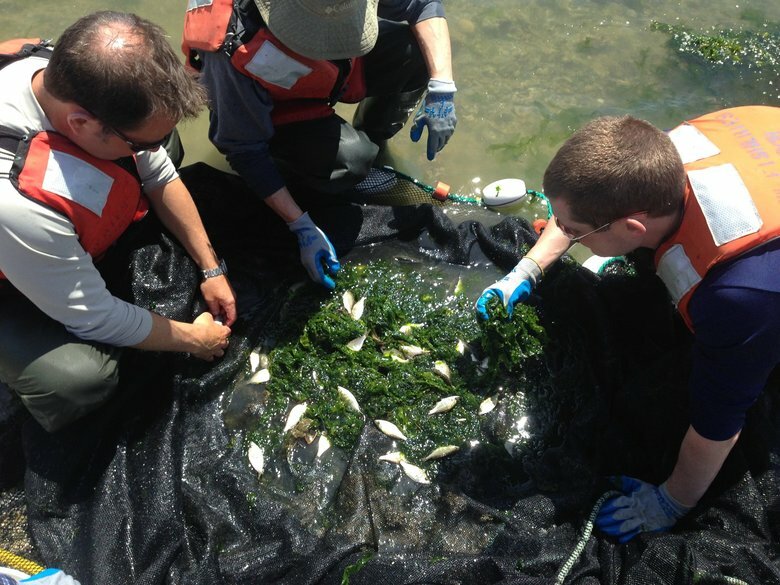 Even fish tested in the intended control waters in the Nisqually estuary, which receives no direct municipal treatment-plant discharge, tested positive for an alphabet soup of chemicals in supposedly pristine waters. “That was supposed to be our clean reference area,” Meador said. He also was surprised that levels in many cases were higher than in many of the 50 largest wastewater-treatment plants around the nation. Those plants were sampled in another study by the EPA. The findings are of concern because most of the chemicals detected are not monitored or regulated in wastewater, and there is little or no established science on the environmental toxicity for the vast majority of the compounds detected.